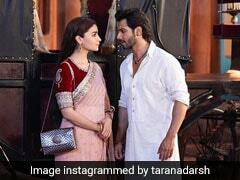 The Kolkata Police have been told by Mamata Banerjee to stay alert. The BJP said supporters will carry "traditional Indian arms" at Ram Navami marches. 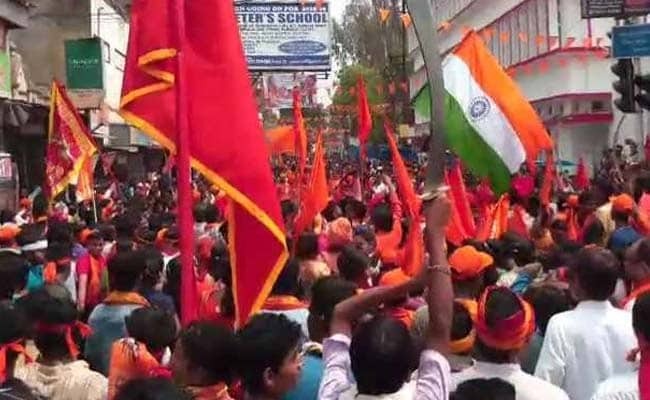 Bajrang Dal took out a Ram Navami march with weapons in Bengal's Purulia. 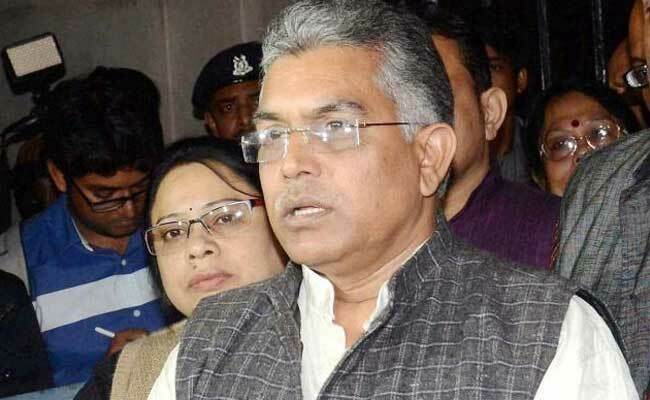 Dilip Ghosh says supporters will carry "traditional Indian arms"
Bengal is bracing for trouble on Ram Navami today, as the opposition BJP planned rallies across the state. Despite stepped up security, a puja pandal has been attacked in Bardhaman district. The BJP claimed the workers of the state's ruling Trinamool Congress were behind the attack. Ram Navami, the birthday of Lord Ram, has not been one of the popular festivals in the Bengal. But it has taken political centrestage over the last few years, with the state BJP vowing to popularize it. The BJP has accused Trinamool of jumping onto the bandwagon to gain people's support. Like last year, the BJP has planned rallies, in some of which, their workers will be armed with "traditional Indian weapons" said state party chief Dilip Ghosh. At least half-a-dozen rallies have been planned in state capital Kolkata. Others will be held across the small towns and districts. After last year's clashes in pockets of Purulia and Bardhaman districts, Chief Minister Mamata Banerjee has made it clear that no "hooliganism" will be tolerated. "We are not against organisations holding Ram Navami processions but they have to be peaceful," Ms Banerjee said. The state police have been told not to give permission for any first-time rally on Ram Navami. Bengal BJP chief Dilip Ghosh confirmed the party was organising Ram Navami processions with weapons. 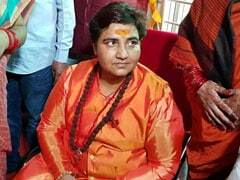 Also, indicating that carrying of weapons may not be allowed across the board, Ms Banerjee has said, "Those who have been celebrating Ram Navami for more than a decade will be given special permission to hold processions with arms". 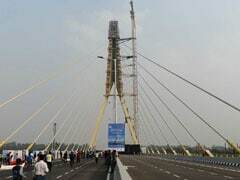 This has special significance for politically volatile Howrah, a district adjacent to Kolkata, where Mr Ghosh said supporters will carry traditional arms. Mr Banerjee said she knows of one or two organisations there who traditionally carry weapons and would be allowed to do so. Ms Banerjee's Trinamool Congress also plans to hold Ram Navami rallies in Howrah, which would be led by state minister Arup Roy. Mr Roy, however, has told reporters that the party supporters won't carry any "arms or religious motifs". "We will tell people to maintain harmony," he said. Trinamool Congress' rallies in Howrah drew criticism from Mr Ghosh, who said "people who have so far opposed the celebrations are now eager to observe Ram Navami, to gain the support of the majority of the people."